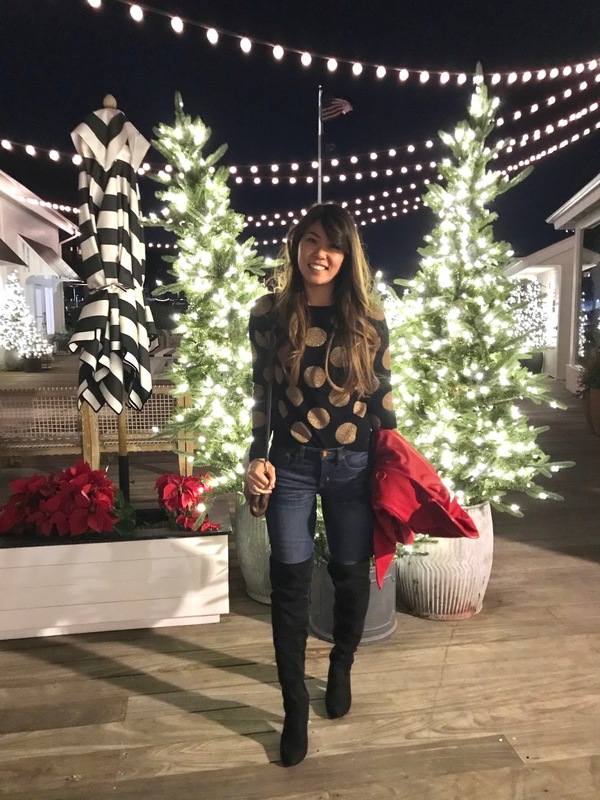 There are a few things that I love most about the holiday season: festive sweaters and shimmer! This outfit combines the two together and I’m sooo in love – shimmer infused AND polka dots – yes please!! It’s perfect for a night out with the gals or date night. 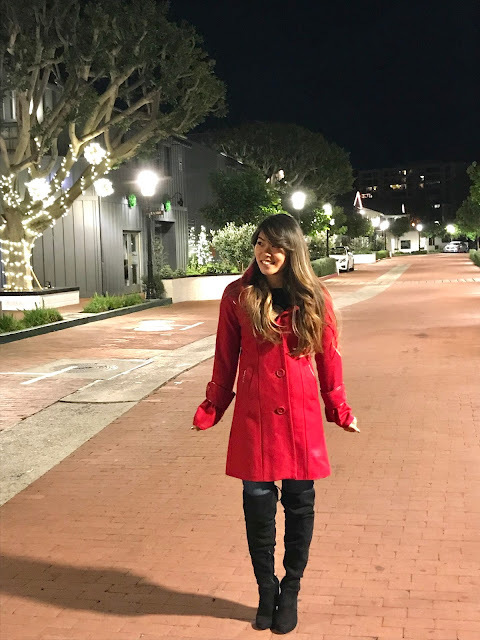 I wore this outfit last night to the Newport Beach Holiday Lights Cruise, which was sooo much fun (more on this later). 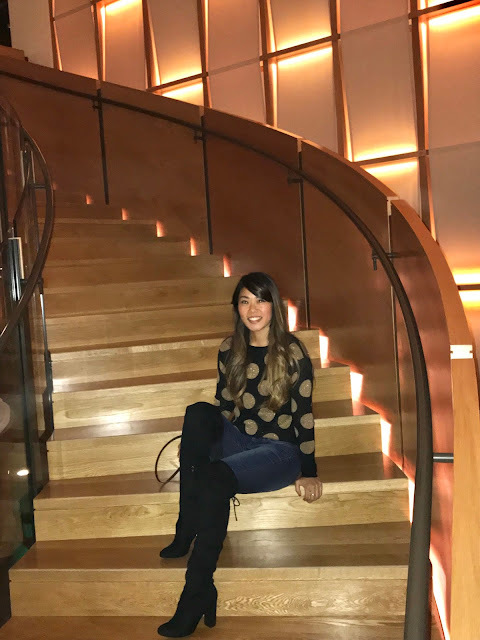 I was debating on wearing my glitter pumps but I paired it with these suede OTK boots instead because it was sooooo cold out. If you don’t already have a pair of OTK boots, what are you waiting for?? I always end up buying a new pair every year because they’re super stylish and I get so much wear out of them during the holiday season. 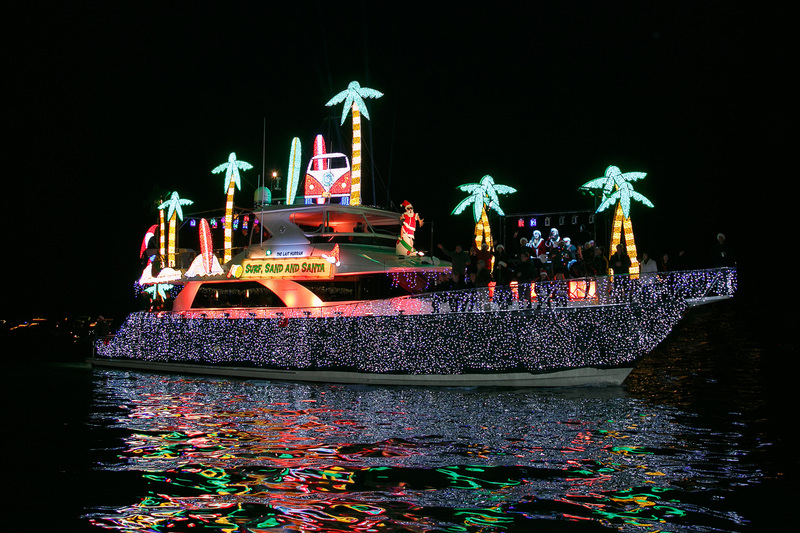 Okay, so back to the Christmas Boat Parade of Lights… there’s no better way to get into the Christmas spirit than by cruising down Lido Isle and looking at all of the beautiful decorated ships and Bayfront Estates. Newport Landing offers multiple cruises nightly which runs through December 31st, reserve your tickets here. (GUYS, this would make for a perfect date night… just sayin’) If you plan on enjoying this event, dress warm and bring a coat because it gets chilly cruising through the harbor.